Ronaldinho has returned to the UAE. 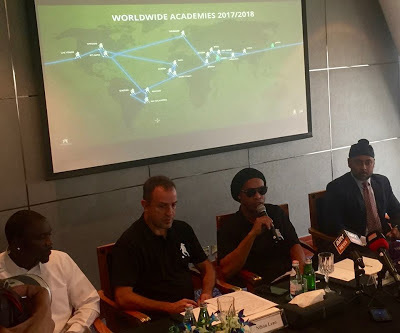 The Barcelona legend was previously in Dubai in October last year to launch the Ronaldinho Soccer Academy (RSA) at the Koora Dome, the football facility managed by Duplays. 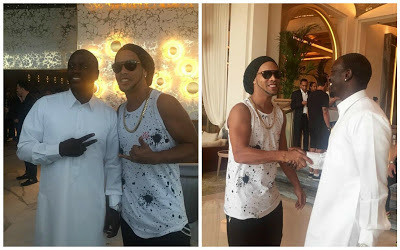 This time around, the Brazilian has taken time out to visit the Burj Al Arab and even caught up with music star Akon who once revealed that he wanted to be like the Brazilian before turning to music. 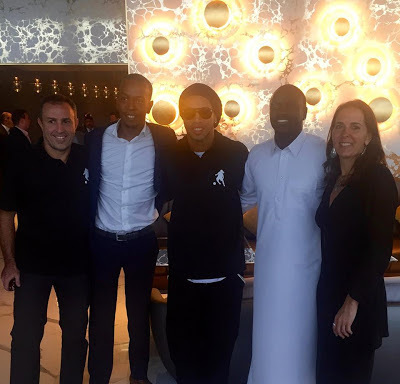 Akon and Ronaldinho met to announce the expansion of sport academies worldwide.